Thanks to the hardworking staff from Metro Vancouver Regional Parks East Area office, an exciting fish habitat improvement project is scheduled to begin in the near future. The project aims to improve overwintering habitat for Coho salmon (Oncorhynchus kisutch), but project leaders are also hopeful that cutthroat (Oncorhynchus clarkia) and rainbow trout (Oncorhynchus mykiss) will benefit as well. Aren’t salmon found in the ocean…why protect habitat in Kanaka Creek? Pacific salmon are anadromous, meaning that they spend part of their life in freshwater and part of their life in the ocean. They begin their lives in freshwater, so it’s particularly important that freshwater habitat is accessible and healthy. 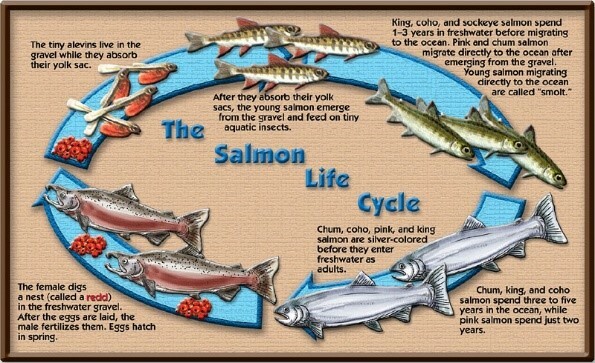 After hatching, salmon will spend 1-3 years in freshwater and then migrate to the ocean. The ocean becomes their home for another 3-5 years until they return to freshwater to spawn and eventually, die. #DYK – Pacific salmon runs influence B.C.’s ecosystems! The returning salmon bring large amounts of marine nutrients to riparian environments. Not only does this influence the development of nutrient rich plant communities, but it also impacts the food chain. Mammals of all sizes, birds, and even fish forage on salmon eggs. Large predators such as bears and wolves favour the full fish. 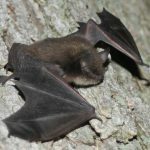 These species play a considerable role in influencing the ecological health of our temperate rainforests by dispersing the nutrients around nearby trees. 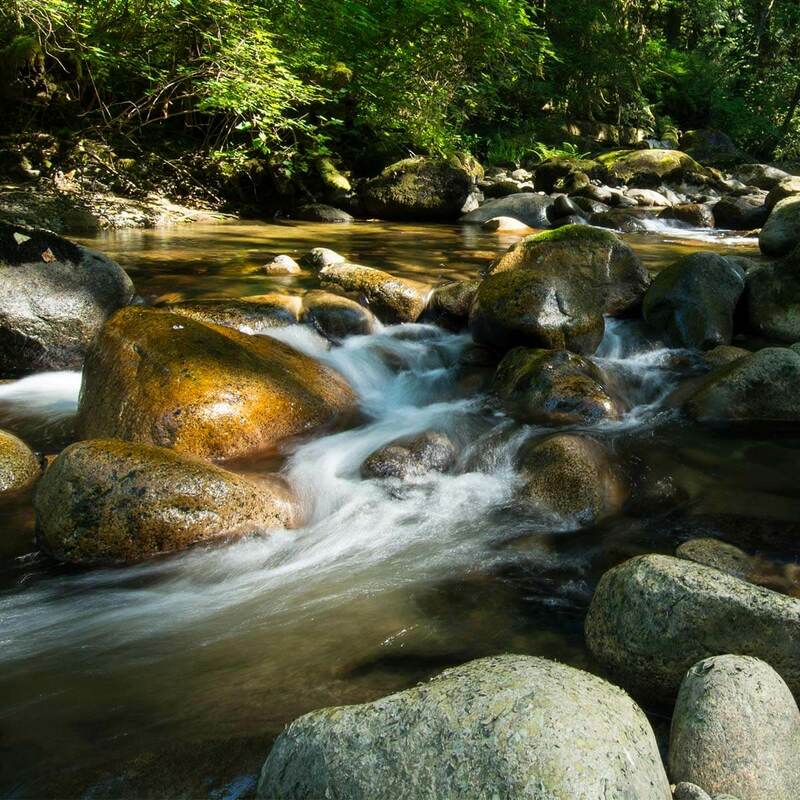 Metro Vancouver recently purchased a property to expand Kanaka Creek Regional Park. The property features three small ponds and a portion of Thornvale Creek, one of the most productive Coho tributaries of lower Kanaka Creek. Metro Vancouver staff immediately saw potential for connecting the ponds to the productive creek. 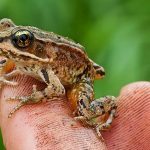 The main objective of the project is to improve the Thornvale pond habitat by increasing fish access between the creek and ponds, as well as stabilizing the creek banks and enhancing surrounding habitat. Metro Vancouver staff will be overseeing the project from design through to construction. 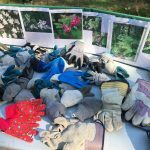 Other partners include Diamond Head Consulting, Kanaka Education and Environmental Partnership Society (KEEPS), the DFO Community Advisor, and Pacific Parklands Foundation. 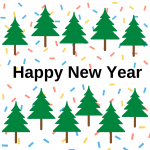 As the fundraising arm for Metro Vancouver Regional Parks it is our mission to enhance the regional parks network through the solicitation of donations and grant writing. We are pleased to announce that Pacific Salmon Foundation (PSF) has generously granted us $20,000 for the project. PSF works to restore and conserve Pacific salmon populations in BC and Yukon and we are extremely grateful for their support! 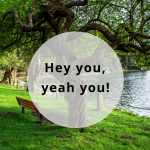 We’d also like to extend a special shout out to Janice Jarvis, Natural Resource Management Specialist (Metro Vancouver Regional Parks) for extending her technical expertise to the grant.